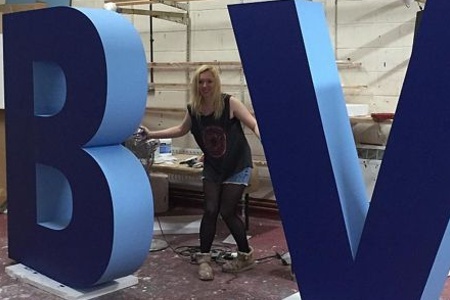 Facing the fronts of polystyrene letters with acrylic is a great option to achieve a gloss finish. We can face the letters with a standard stock colour acrylic or a colour matched or printed acrylic to match your branding. Metallic and other laminates are also available. The MDF facing will considerably strengthen the letters and also make the faces smoother. This can be tailored to suit depending on how you plan to use the letters. If you are going to be using the faced letters outdoors, we can use plywood or exterior grade MDF. 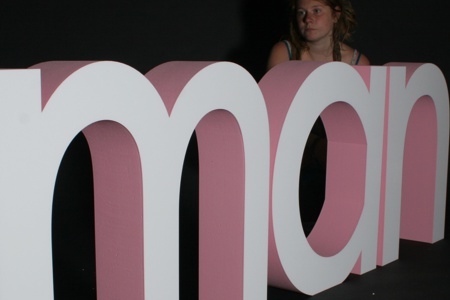 On larger free standing letters, we often face the front and back of the letters with MDF. Vinyl facing can add a shine to letters, and there is a wide range of colours and finishes available. It is also possible to print a design on the vinyl and face letters with this. 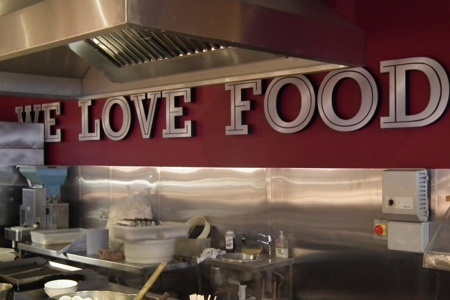 The finish is not close to that of acrylic facing, but can occasionally be a more suitable option depending on how and where you plan to use the letters.